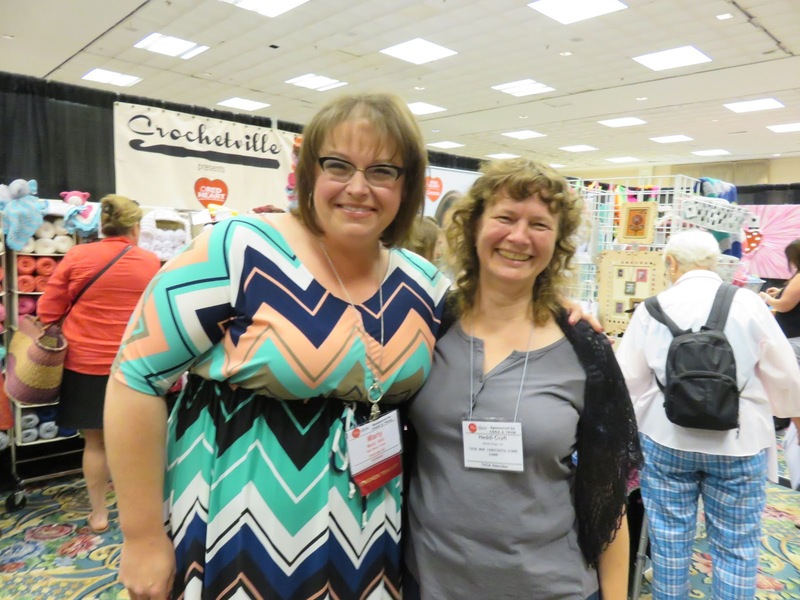 This weekend at the Knit and Crochet Show, I got to meet Marly Bird from The Yarn Thing podcast. She is one of my favorite podcasters because of her positive and curious nature with her guests. It turns out she’s just as wonderful in person! The Yarn Thing Podcast by Marly Bird— Marly interviews a different designer or other players in the yarn industry every Tuesday and Thursday. The conversation often drifts to professional aspects of the work, not just the things a consumer would want to know. I really appreciate Marly for “keeping it real” and showing what hard work the designer business can be and what problems can occur. The Creative Yarn Entrepreneur Show by Marie Segares— Marie’s show is for all people trying to get started in the yarn industry. Each episode is packed with great ideas and information about a different aspect of the business. She recently completed a series just for self published designers. Explore Your Enthusiasm by Tara Swiger— Tara also sells classes and other kinds of support to creatives of all types who want to make money from their passions. Her shows are short but usually have some great advice tucked in. You’ll find that she always lets you know what classes or workshops she has coming up for a fee, but there’s plenty in her podcasts to get you thinking about your work as a business. Knit.fm by Pam Allen and Hannah Fettig— This podcast is no longer going, but the back episodes are worth listening to because the two hosts often talk about working in the yarn industry in between really great information about gauge, yarn, etc. I’m in San Diego this week at The Knit and Crochet show. 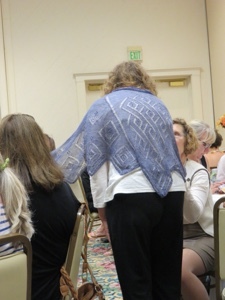 I barely finished my latest shawl design in time to have it be part of the informal fashion show at last night’s Yarn Tasting event. Here’s a sneak peek at the finished design. My first few designs used the charting style I learned from Mirriam Felton in her Craftsy class for lace shawl design. For a triangular shawl, it incorporates the center and edge stitches into the chart and indicates a repeat for the two sides of the shawl. I’ve found it’s confusing for many people so more recently I’ve been using a format for triangular shawls in which the center and side stitches are only in the written directions and the chart is only the side panel. Recently, I had an email conversation with someone who was having trouble with the Vefr charts. I made this video to help the knitter to read the existing charts. Here it is for others who might find it useful as well.